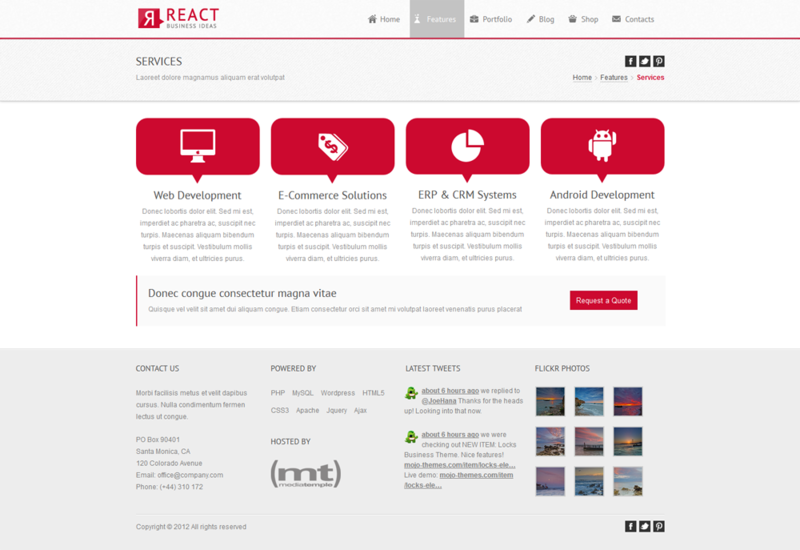 React is a multi-purpose HTML5 template for your business. It is very clean, modern and flexible. This template helps you to attract more customers and provide them the best online experience. 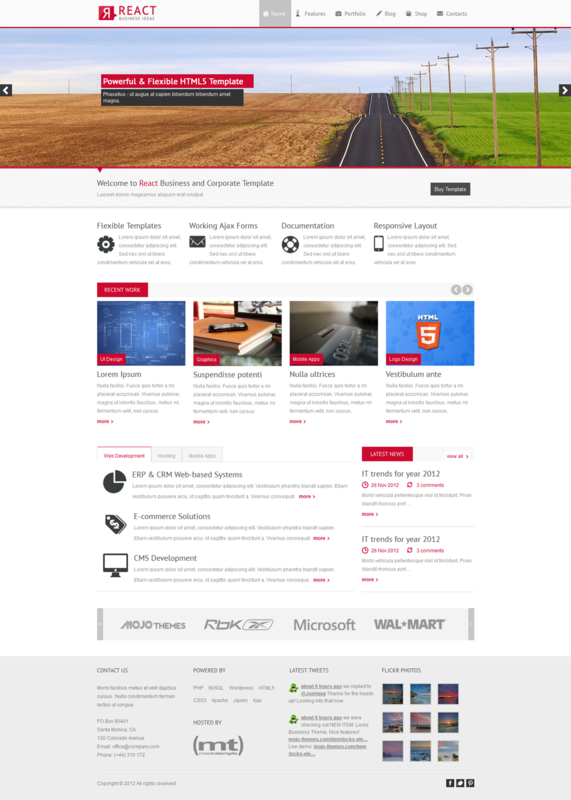 If you are looking for fresh HTML template you are in the right place. React can be used for different types of websites – business and corporate, portfolio or customize it to suit your needs.